Nearly every Boston neighborhood has been affected by the national opioid epidemic and in Boston, overdose deaths have almost tripled in the last five years. 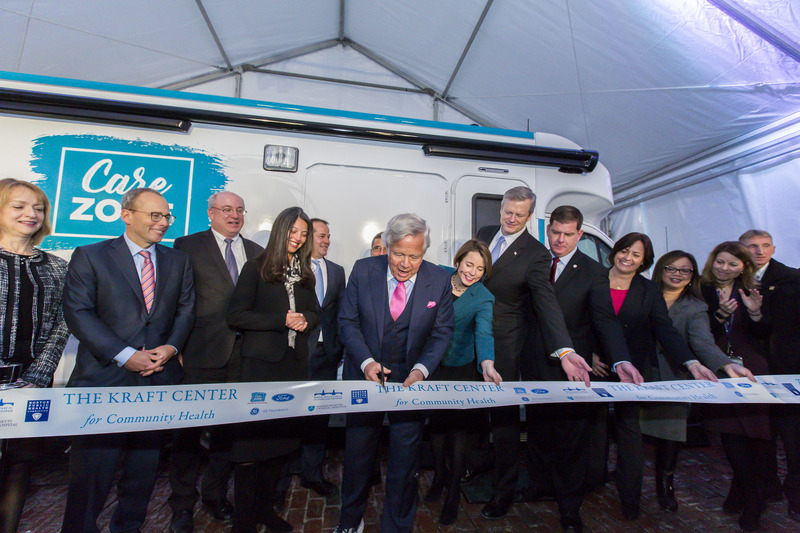 In January 2018, The Kraft Center for Community Health at Massachusetts General Hospital unveiled CareZONE, a mobile health van aimed at better engaging individuals struggling with addiction and complex health conditions to deliver on-demand services and linkages to community health centers who can provide ongoing care. This innovative program is partnering with The GE Foundation, Boston Health Care for the Homeless Program, and AHOPE, a program of the Boston Public Health Commission to provide preventive care, chronic disease management, linkages to drug treatment and addiction services in neighborhoods where fewer services are available. CareZONE is made possible with support from the Massachusetts Department of Public Health, The Hearst Foundation, Partners HealthCare, and Ford Motor Company.